The Tour de France may be over but cycling continues around the world. That includes Goma in the Democratic Republic of the Congo, where local cycling fans took to their bicycles after a volcanic eruption nearly wiped the city out in 2002. Let’s be honest, when you think of famous or successful cyclists, they’re predominately white. That’s down to a number of reasons which I won’t go into today but it’s the truth. 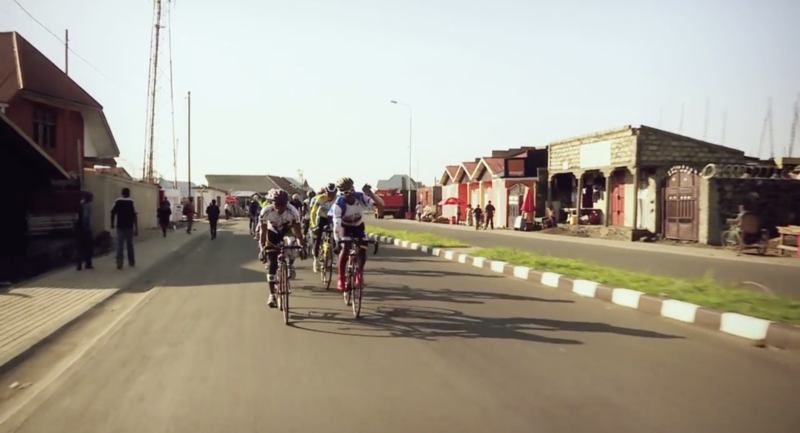 In the city of Goma in the Democratic Republic of the Congo, enthusiasm for cycling came from a place of relief and survival. It’s local volcano, Nyiragongo, erupted in 2002, destroying 40% of the city. The volcano was monitored beforehand and residents were warned and evacuated to Gisenyi, Western Rwanda. Now Goma is home to DRC’s best cyclists and the Goma Cycling Club. Cycling doesn’t come without its dangers. Champion cyclist Jimmy Mohindo explained the pitfalls of cycling in the city include a lack of consideration from motorcyclists, children running into the road, and early traffic. Unfortunately, money is tight for the club with second-hand bikes going for as much as $7000 (USD) and subsidisation coming from private donations. You can hear more about the Goma cyclists in the video below. Next Next post: COMPETITION: Win a copy of FM18!